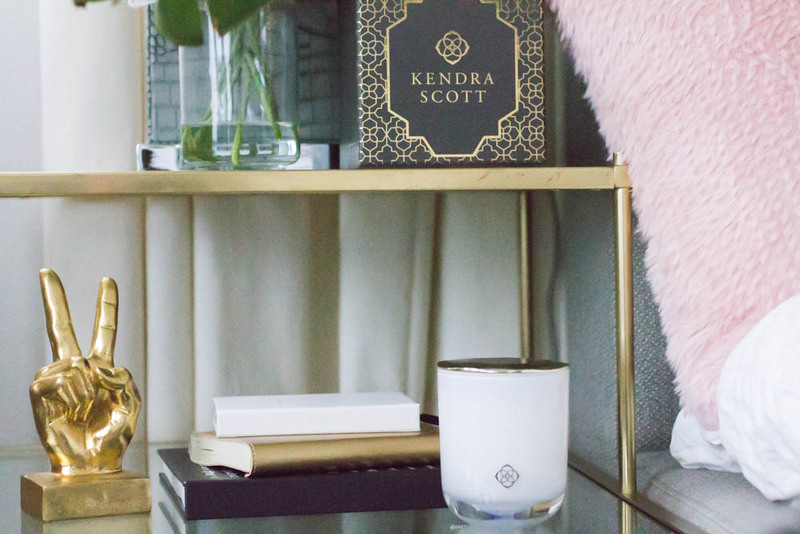 Kendra Scott is queen, and we are SO excited that she has launched a brand new line of candles today to accompany her absolutely stunning home decor pieces. 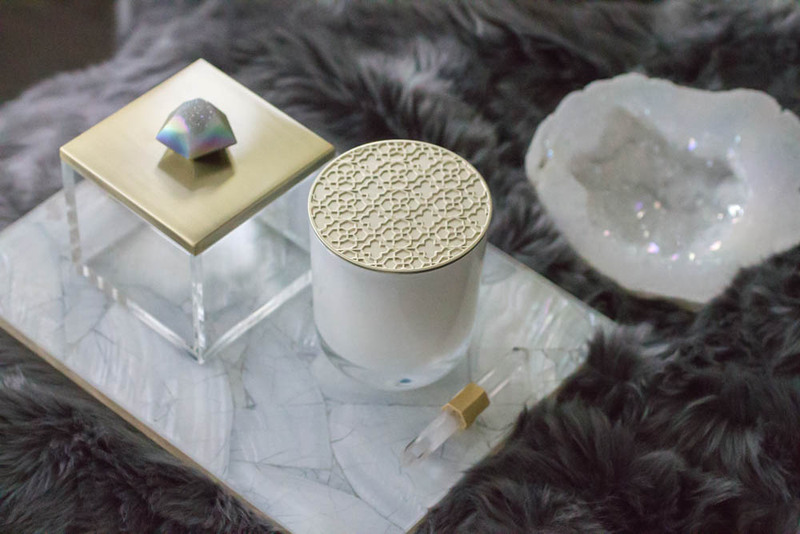 It’s been a much awaited launch, Kendra worked for over twelve months alongside master perfumers to create her four scents, all based on the stones for which she is so well known. 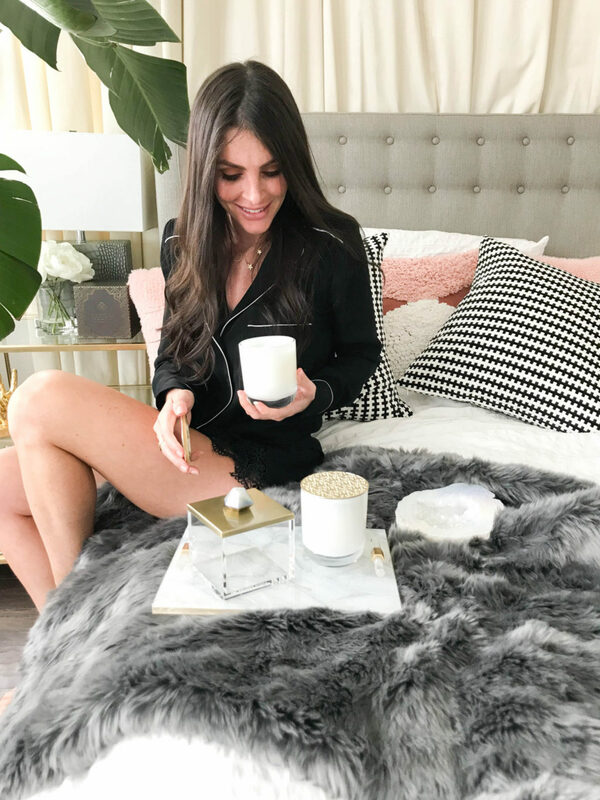 With one of us being from Austin (where Kendra is from and got her start) we are huge fans of her jewelry, and with our passion for interior design and beautiful decor, her candles are the perfect addition to our rooms. 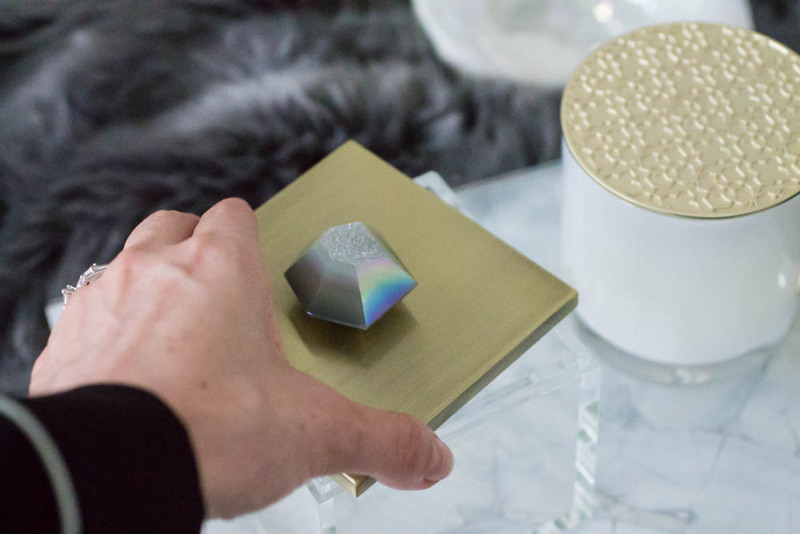 We often use candles as decorative accents, but aren’t always impressed by the scents we encounter. 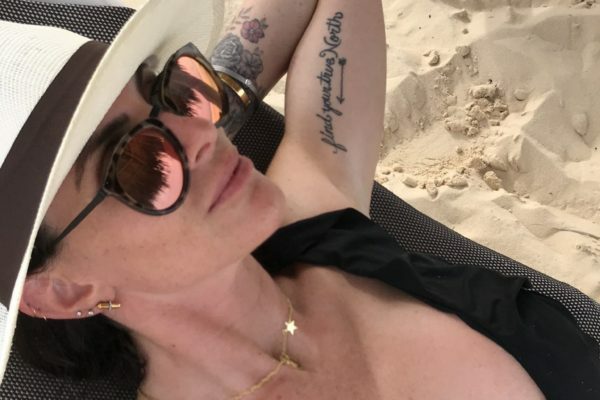 Not this time! Kendra’s candles are AMAZING. Each one is very different in scent, but equally amazing. 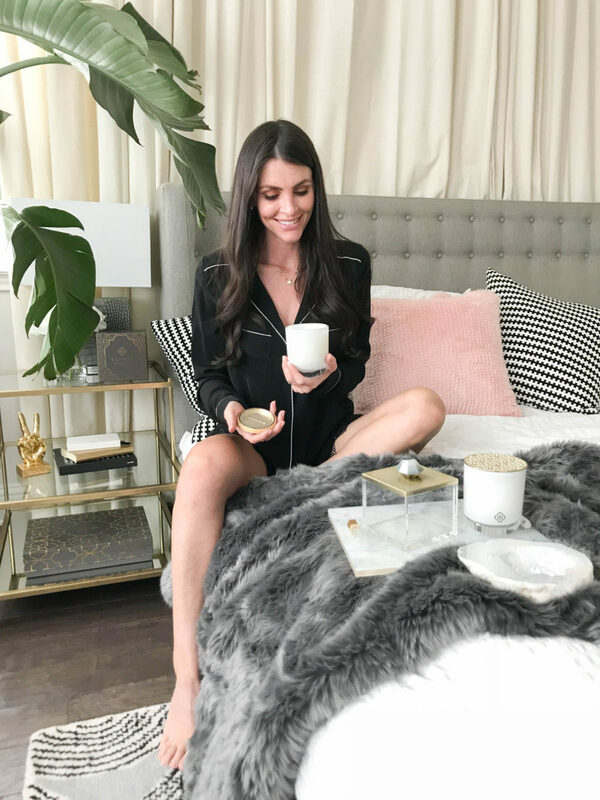 We were incredibly lucky to be given the opportunity to try out her candles before they launched, and you guys they are HEAVEN. 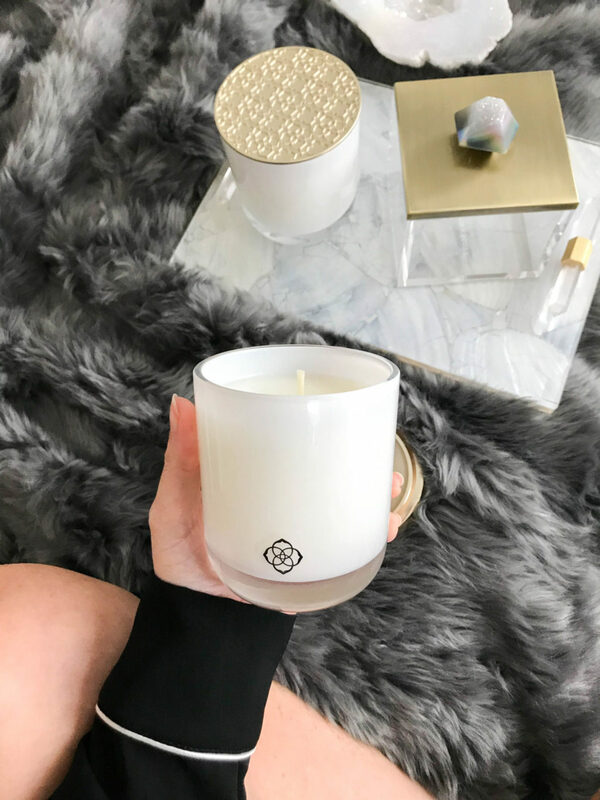 We have both her Signature Scent and the Amethyst (and scored one of the Rose Quartz candles at her launch party last night – SUCH a gorgeous event, check out our stories if you haven’t seen them yet). 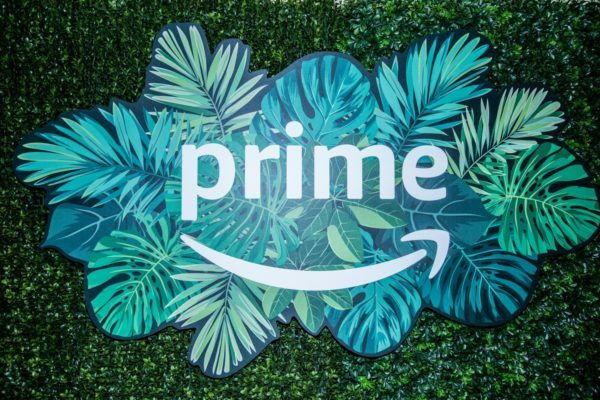 The last in the collection that we have yet to procure is the Malachite which is fresh and woodsy, and we really want it. 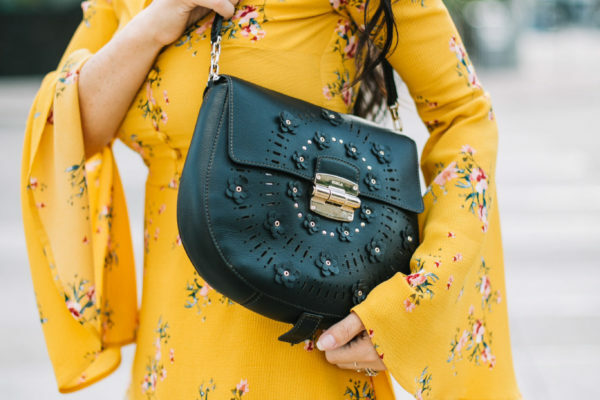 With the frankincense and amber it would be perfect for holiday season, too. 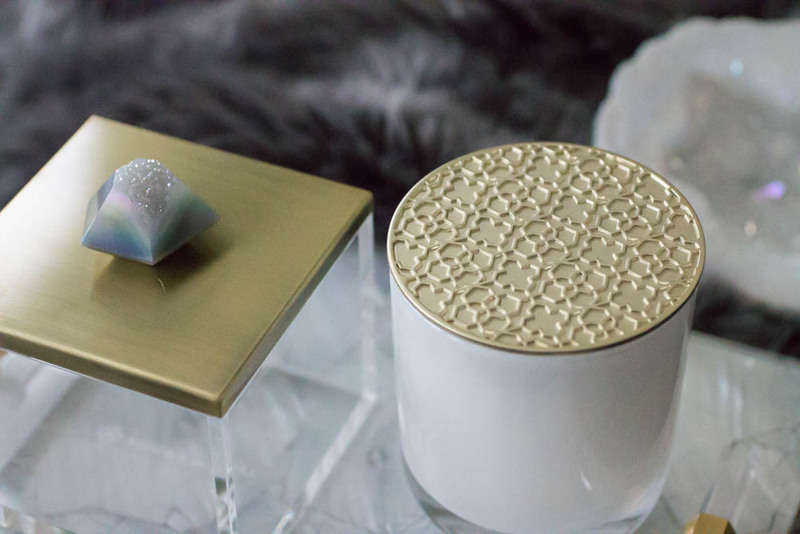 Her Signature Scent is a more girly scent, with blonde woods, crushed leaves and lily of the valley. 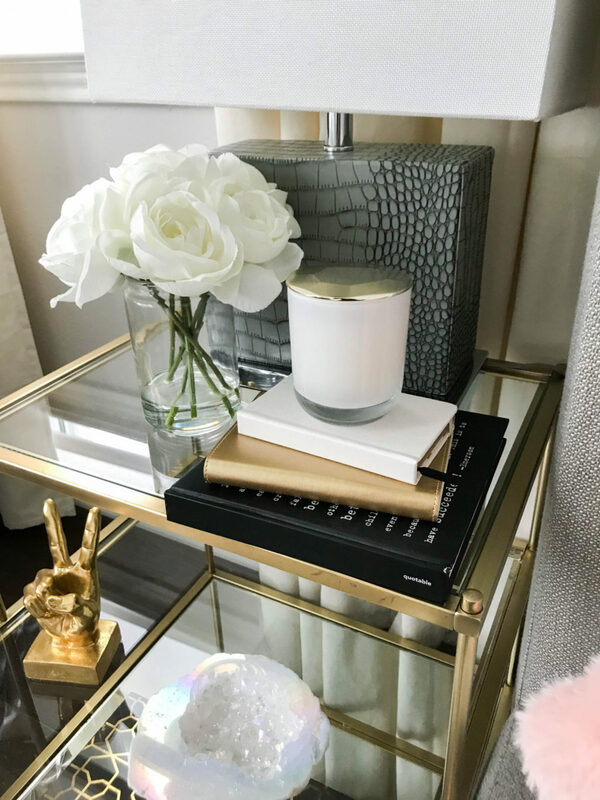 All of her candles come in these beautiful glass tumblers but her Signature Scent comes with a gold filigree topper that makes it a great decor piece, candle aside! 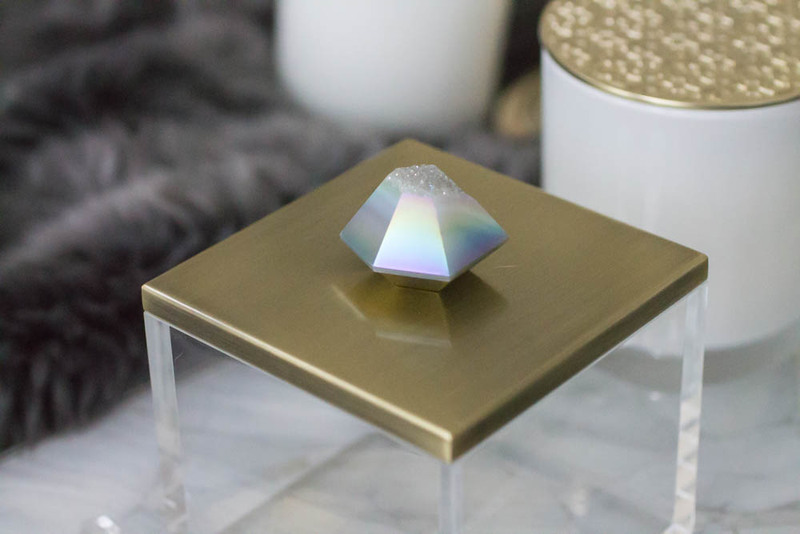 The other candles boast hammered gold toppers that are equally gorg. 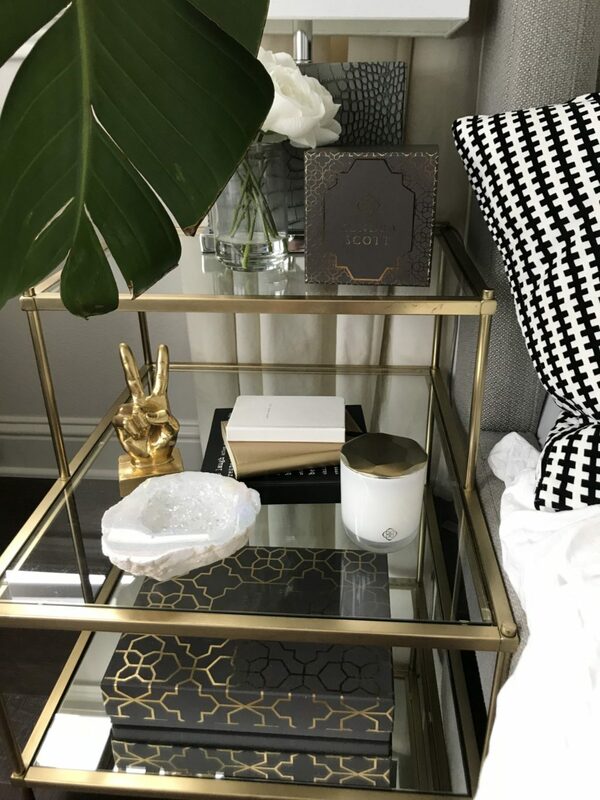 We have been keeping the Signature Scent candle in our entryway, it’s a fresh and invigorating scent that makes the space feel inviting and fun. 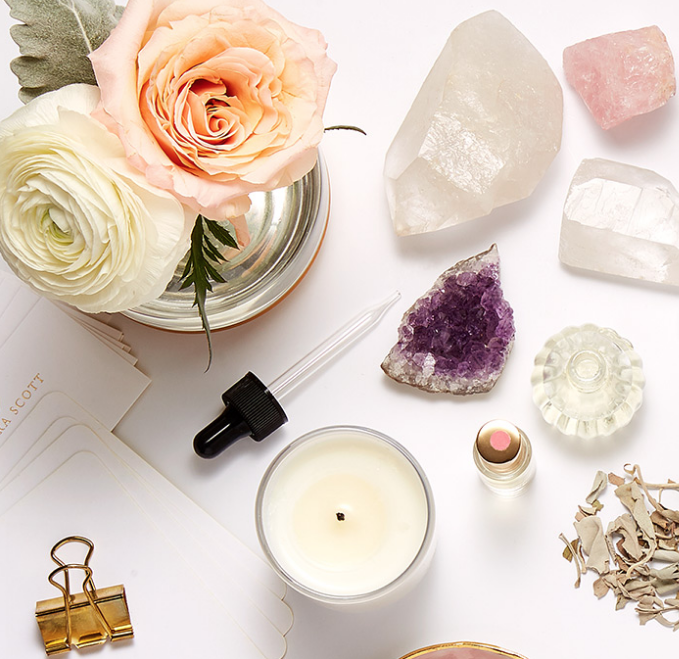 The Amethyst candle is hands down our current fave. It’s a mix of lilac blossoms, blackberry, and sandalwood and it’s SO relaxing. 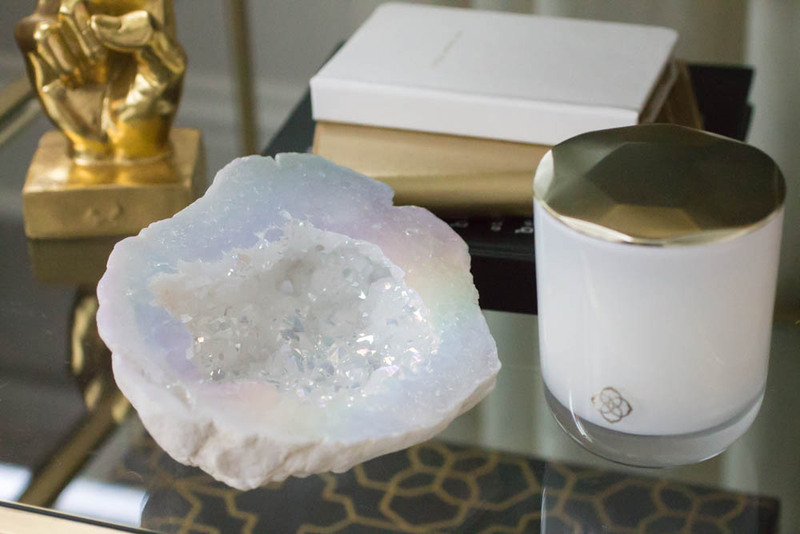 It invokes a serious sense of calm when you inhale, and smells like a tropical vacation. 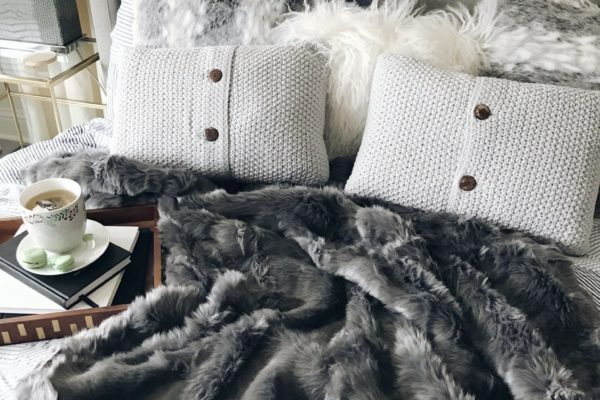 Seriously if calm had a smell, this would be it. 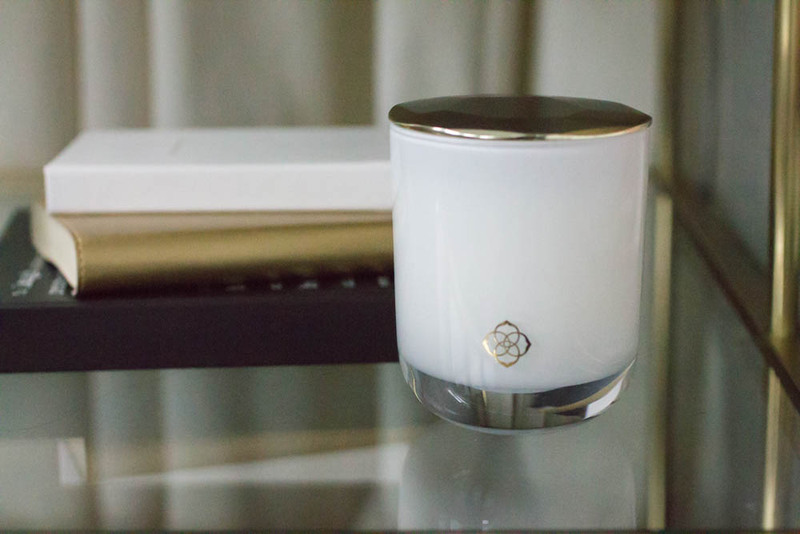 We are super drawn to more musky scents too, so the sandalwood is very much up our alley. 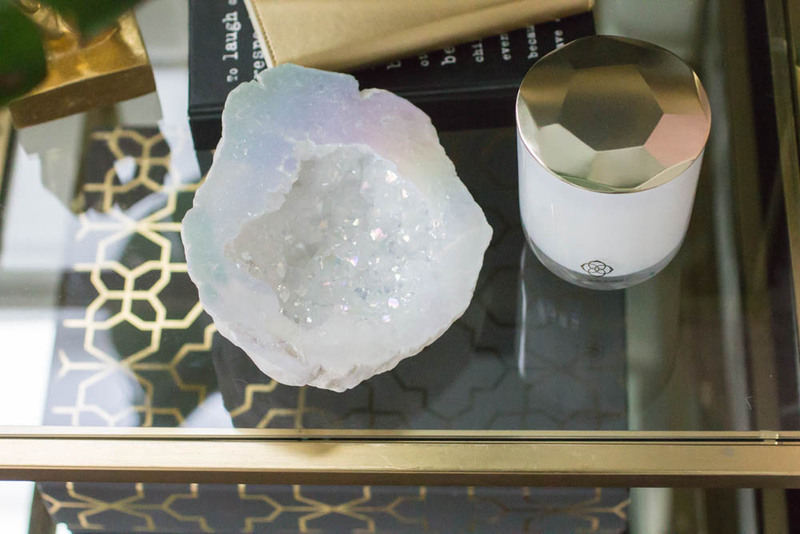 We’ve been keeping the Amethyst on our bedside table (without even lighting it the entire room smells like vacay) but it would also be the perfect addition to a long hot bath; we’re going to have to buy another just so we can keep one in each room! 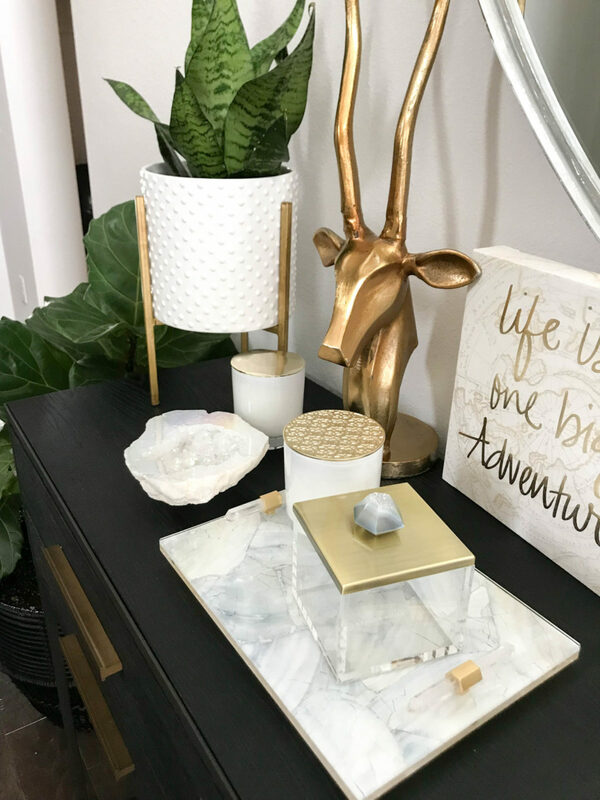 Kendra’s new candles are the perfect addition to her amazing home decor pieces. 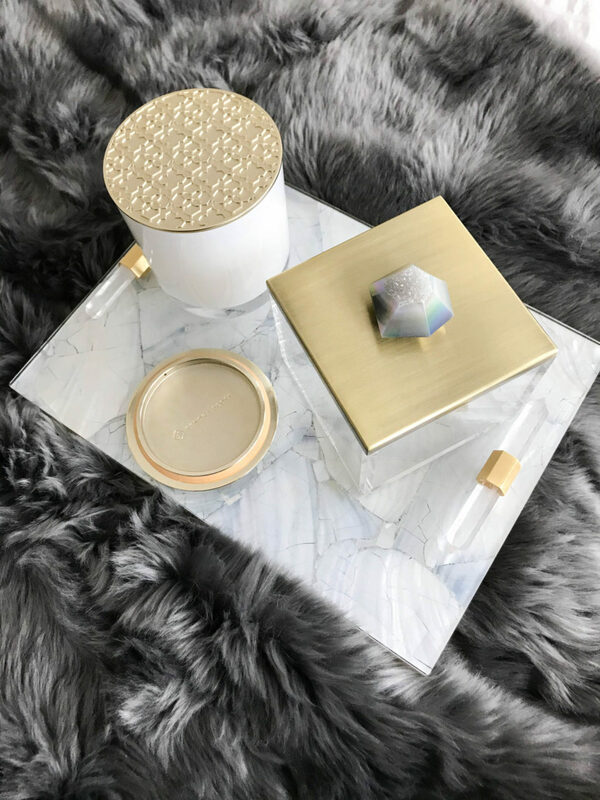 We love how the crackled white pearl stone tray and acrylic box with the iridescent drusy really compliment the candles. 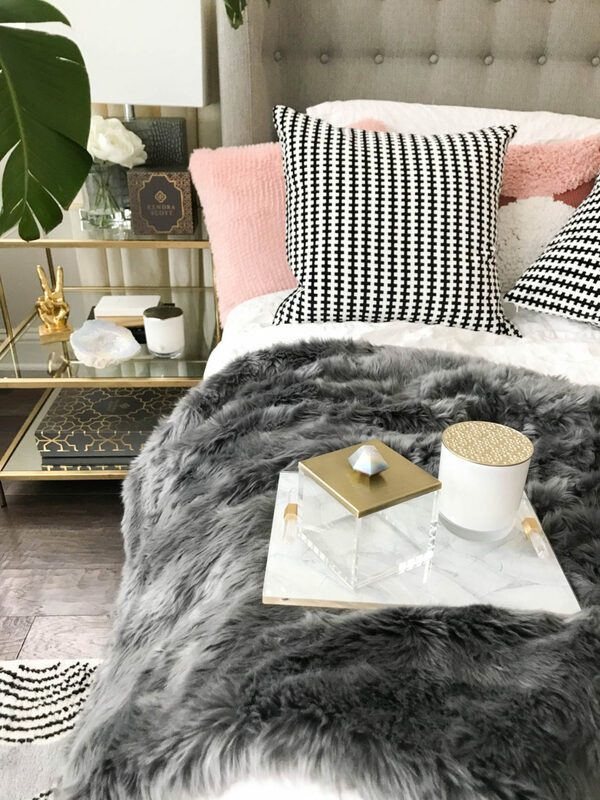 The hints of golds and iridescent accents pair so well (and check out that geode!). 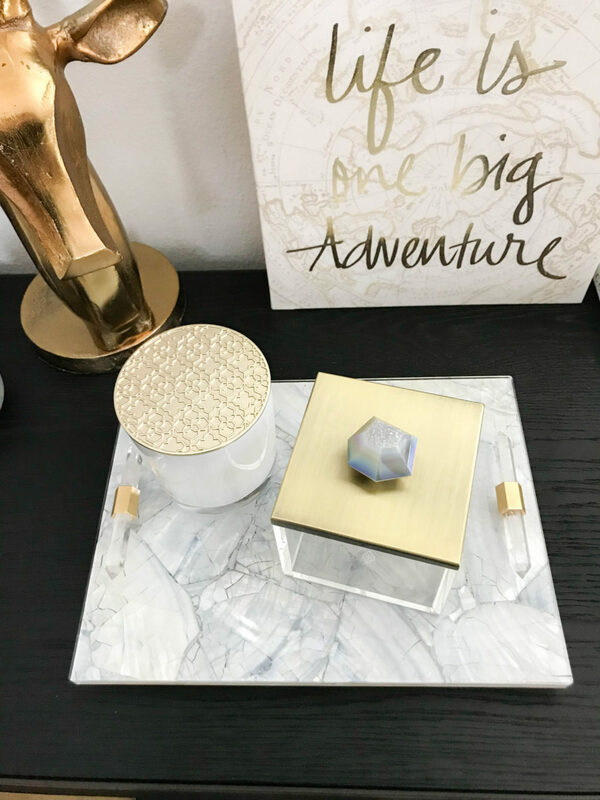 HIGHLY recommend the stone trays, they are beyond gorgeous and a serious statement piece (put them on your coffee table, entry way, bedside table, bathroom, the options are endless).